The juxtaposition was delicious: an inhabitable sculpture leaping from the concept of affordable mass-produced housing sited atop a hilly slope on the grounds of the most exclusive private club in The Hamptons. Of course, this was no ordinary sculpture and its concept wasn’t inspired by HUD but by Buckminster Fuller on the democratization of architecture through his Geodesic Dome. 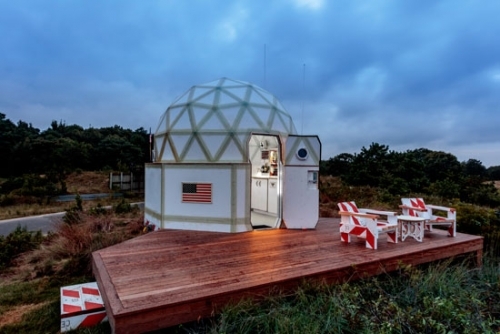 Artist Tom Sachs blew out Fuller’s concept by creating the ultimate luxury portable housing dome, making its installation at The Bridge golf club in Bridgehampton, NY the perfect location for the new artwork. 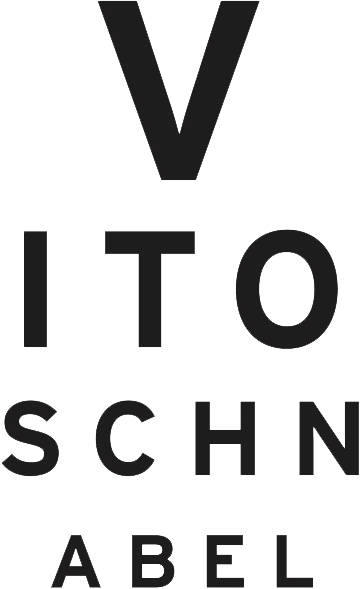 Building #3 by Tom Sachs, 2018, was unveiled with an Opening Reception on August 10, 2018 and presented by Vito Schnabel Gallery. The artwork was installed through September 2018 and was included as part of The September Art Fair at The Bridge, coinciding with The Bridge car show. A mixed media installation measuring 158 x 249 x 243 inches, Building #3 had a space station feel (purposely orchestrated by Sachs) that enhanced the unsettling uncertainty if Building #3 was solely art, an architectural feat for the tiny house set, or a prototype for when humankind hits outer space to take up residence. The multiple crossovers and weavings between conceptual art, consumer culture and its examination, and the physical engineering and construction that makes his intricate sculptures possible are integral to Sachs’s work. He accomplishes this intellectual saunter beautifully in Building #3. In line with his artist signature, the interior walls were left in a raw state with strips of sealant and exposed wood prominent to reveal his process. Building #3 also references earlier works and motifs through the inclusion of the Japanese Tea Room and outer space exploration. Regardless of the future home of Building #3, whether remaining in The Hamptons, taking a jaunt around Europe or even heading to outer space as part of the billionaire-funded moon-bound artist contingent, Sachs has the dome’s potential residents covered. Building #3, while tiny in floor space, is large on details for living. There’s a Japanese tea room, a Chanel make up station, a wet bar, library, iPhone compatible speakers, a bed, dining table and, of course, air conditioning. A pair of wooden chairs and table on the deck make it easy to relax and take in views, expanding entertaining possibilities. At the opening, the deck easily accommodated a small crowd with staff offering Champagne on trays. The view? Overlooking the 18th hole of the private golf course with Noyack Bay sparkling in the distance and a scrub-dotted vista William Merritt Chase would have loved.